Truly a classic, these scroll shutter dogs are an elegant choice for any style of home. This pair of scroll dogs includes all the hardware needed to hold a pair of shutters in the open position. The Scroll Dog is aluminum and all lag bolts are stainless steel. All Scroll Dog items are powder coated black. Solid brass hidden stays are used to securely hold shutters to a wall but allows for removal of the shutters for cleaning. Three hidden stays per shutter are recommended to help support the shutter and reduce warping. Unlike traditional shutter dogs, these hidden stays will not allow the shutter to rattle in the wind. We recommend using a shutter dog for a decorative accent. Cast iron black powder coated pull ring for closing shutters. These shutter slide bolts keep operable shutters secure in the closed position. 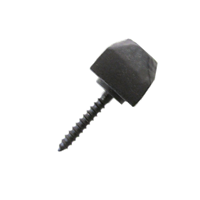 The slide bolt is constructed of cast iron and powder coated black. 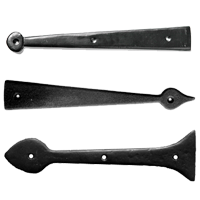 Our cast iron hook and eye is used to securely hold shutters in either the open or closed position. With a satin black powder coated finish, it is rust resistant and long lasting. 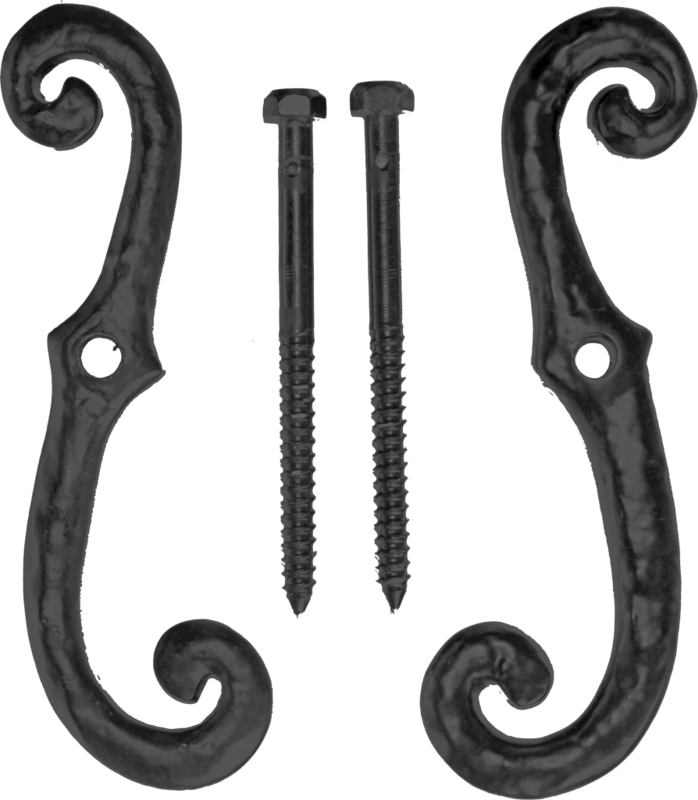 This decorative hardware item is used to dress up shutters, doors and cabinets. Each clavos gives the appearance of a hammered, hand forged nail for a rustic look. Faux aluminum strap hinges feature a classic look. 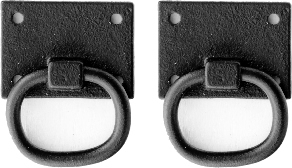 These hinges can be used where the look of a strap hinge is desired. All hinges are powder coated black.